Keep calm and MAT foundation. 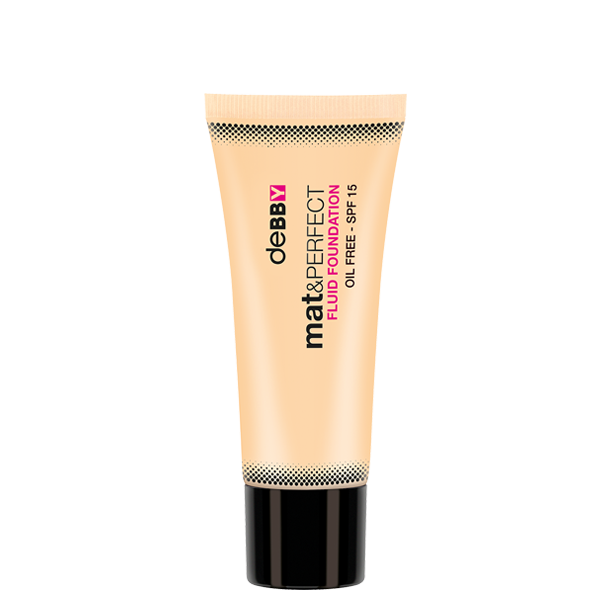 This featherweight fluid foundation keeps skin shine-free, soft and smooth. Enriched with a special blend of ingredients that include honey and coconut extracts: HONEY MAT COMPLEX. The dual-acting formula both moisturises and soaks up excess skin oils, fighting shine around the T-zone. Suitable for normal and combination skins. NON COMEDOGENIC. OIL FREE. SPF15. IL060718 INGREDIENTS: AQUA, CYCLOPENTASILOXANE, BUTYLENE GLYCOL, ISODODECANE, DIMETHICONE, TRIETHYLHEXANOIN, ETHYLHEXYL METHOXYCINNAMATE, BORON NITRIDE, BETAINE, TALC, SODIUM CHLORIDE, POLYPROPYLENE, PEG-10 DIMETHICONE, CYCLOHEXASILOXANE, POLYMETHYLSILSESQUIOXANE, COCOYL HONEYATE, LACTOBACILLUS FERMENT, BIOSACCHARIDE GUM-4, FOMES OFFICINALIS EXTRACT, STEARIC ACID, PARFUM, TRIHYDROXYSTEARIN, HEXYL LAURATE, ACRYLATES/DIMETHICONE COPOLYMER, POLYGLYCERYL-4 ISOSTEARATE, IMIDAZOLIDINYL UREA, UNDECYLENIC ACID, PROPYLENE GLYCOL, ALUMINUM HYDROXIDE, DISTEARDIMONIUM HECTORITE, CETYL PEG/PPG-10/1 DIMETHICONE, PEG-40 HYDROGENATED CASTOR OIL, ETHYLPARABEN, METHICONE, PHENOXYETHANOL, METHYLPARABEN, PROPYLPARABEN, TITANIUM DIOXIDE (NANO), CI 77891, CI 77492, CI 77491, CI 77499. INFO PAO 12M SPF15 GRAMMATURA 30 ML CLAIM NON COMEDOGENICO DERMATOLOGICAMENTE TESTATO A SEGUITO DELLA SOSTITUZIONE DEL FANCOL POLYISO CON IL TIO NEL FDT MAT&PERFECT F.F. N.01 ART.003806 E SUCC.